After a long flying gap (35 yrs), I decided to venture into the world of flying, which included buying a RV-8. I received my tailwheel endorsement in a Super Decathalon on Aug 10, 2018. I immediately searched for an instructor who could facilitate my transition into an RV-8, but found only one instructor who was actually flying an RV-8. This happened to be Bruce Bohannon. I flew down to Houston on Monday and spent 3 consecutive days in very intense instruction. Bruce is an EXCEPTIONAL instructor. He effectively re-introduced me into REAL stick and rudder flying. 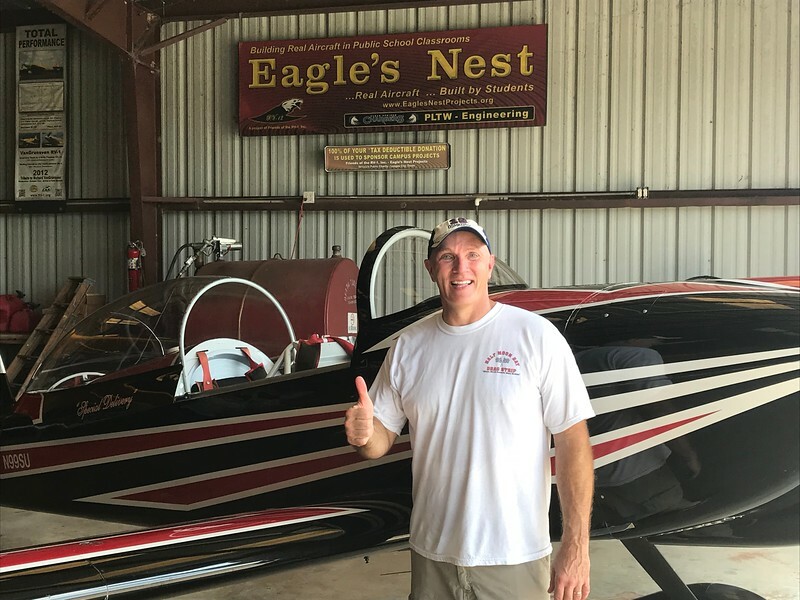 From emergency landings (no warning) to aerobatics, to just learning how to really FLY the airplane, it was the most beneficial training I have ever received. Make no mistake, his instruction begins on the ground. I arrived on a Monday afternoon and he discussed flying for 3 hours. Never in a rush, he's ask me questions and get me to THINK, so that I would truly understand (vice just memorizing things). We'd fly for a couple of hours and then have lunch, during which we'd have rambling conversations, which always came back to what he was trying to tach me. Make no mistake about it ... when I made bonehead mistakes, he let me know ... but it was all about drumming things into this head full of mush and years and years of absence from flying. Bottom line is that I feel ready to fly (albeit using small, incremental steps) my own RV-8 and would absolutely recommend Bruce to anyone making a leap into an RV-8/8A. Last edited by Special Delivery : 08-21-2018 at 09:31 PM. 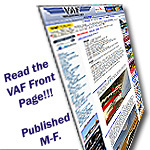 I want to add my recommendation of Bruce Bohannon as others have for flight instruction. He offers many services, but I went to Bruce for tailwheel training and RV-8 initial training. In addition to flying with an aviation legend, his instruction is spot on. If you show up eager to learn and ready for a workout you will not be disappointed. He loves to talk aviation, and he certainly has the experiences and skills to do it all afternoon. If you'll listen closely there is a take-away in "almost" all of his stories. Bruce will not waste your time (or his) but will demonstrate, teach, explain, and fly as much as you need. My time spent with Bruce at 81D was invaluable. After a long flying gap (35 yrs), I decided to venture into the world of flying, which included buying a RV-8. With a new -8 purchased, I (and my insurer) though it would be a good idea to get an RV signoff. I thought my tailwheel experience form 30 years ago would come right back...alas no. Flew with a friend in his decathlon (of which I have a bunch of time in). I should've started in that. After a few landings, the picture was coming back. I then scored a long Houston layover and was able to hook up with Bruce Bohannon. He assured me I would be signed off before I left. He is a wealth of knowledge and loves instructing. He charges $300/hr while the prop is turning but the 2-3 hours of brief / debrief were free. I left there confident that I would not tear up my new toy. I cant recommend him highly enough.